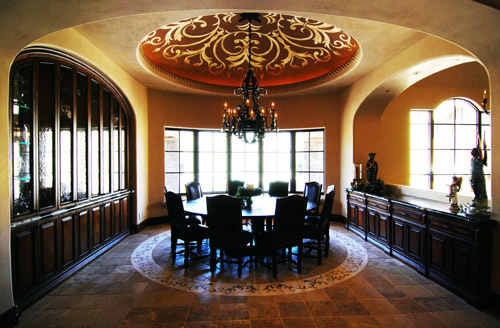 Aspen Painting and Coatings drywall and Venetian Plaster divisions have earned a reputation as the most trustworthy in the custom home, remodel, and small repair arenas for Arizona’s most distinguished clientele. We import only the finest Venetian Plasters and specialty finishes from Italy, and creates diverse impressions with domestic clays and synthetics. Our master artisans are trained in Italy, and make and annual pilgrimage to stay abreast of current trends and artistic advances. Our Earth Plasters, Sanded Primer and Mud Glue are comprised of zero-VOC materials. 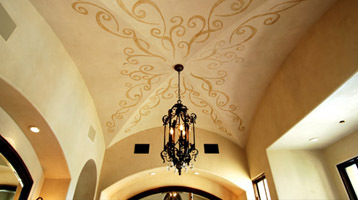 American Clay Earth Plaster exhibits no off-gassing over the life of the cured walls. 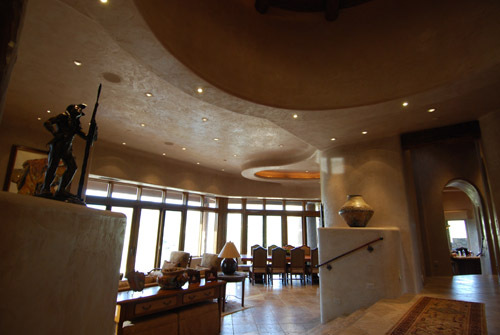 The porous clay plaster finish does not support microbial growth, and does not allow moisture to accumulate, helping to maintain a mold-free environment with improved indoor air-quality. Our plasters are a blend of post-industrial aggregates, clays and pigments. The post-industrial aggregates are comprised of rock and post-industrial shell waste crushed into sand. American Clay is the lowest embodied energy choice for your project when used with our Mud Glue and has the lowest carbon footprint of any interior finish product. American Clay Earth Plasters contribute to the U.S. Green Building Council’s (USGBC) credits, under the LEED-NC rating system.